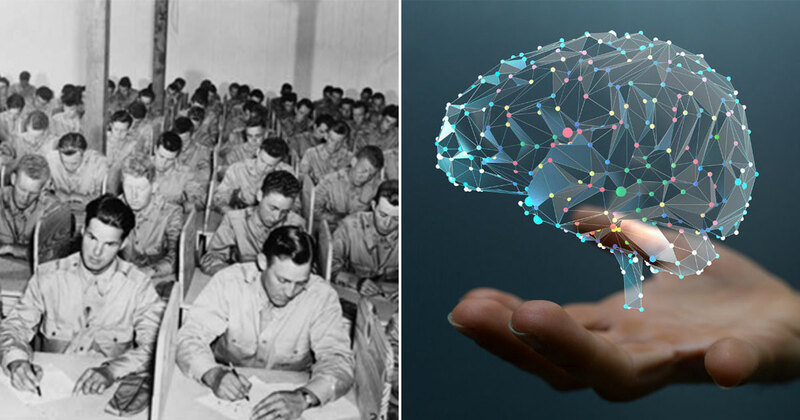 During World War I, many US military recruits had to take a group-administered test as a systematic way to evaluate their mental and intellectual capabilities. This would be used to send them to the correct job classification and give them accurate roles. The test, introduced in 1917, is known as the Army Alpha. 100 to 200 men were grouped together to take the test at once, receiving gradings from very superior to very inferior. The test questioned the recruit’s ability in recognizing patterns, solving mathematical equations, vocabulary, and even common sense. The questions included working out the measurements of a bin based on its volume, figuring out why airplanes failed for many years, knowing what the subsequent numbers are based on a pattern, and knowing what words like “maroon” mean. See if you would have passed this test if you were part of the US Army in 1920. Take this quiz and see how well you can do! A company advanced 6 miles and retreated 2 miles. How far was it from its first position? they afford a method of relaxation. they give the rich a chance to spend their money. A dealer bought some mules for $1,200. He sold them for $1,500, making $50 on each mule. How many mules were there? the brakes are not so good. A certain division contains 6,000 artillery, 15,000 infantry, and 1,000 cavalry. If each branch is expanded proportionately until there are in all 24,200 men, how many will be added to the artillery? their ability is much in demand. they have a college education. Anyone With An IQ Range Of 140-149 Will Ace This Test. Will You?